Teach For Nigeria (TFN) is a Non-profit organization focused on developing a movement of leaders across the nation who are committed to ending educational inequity. 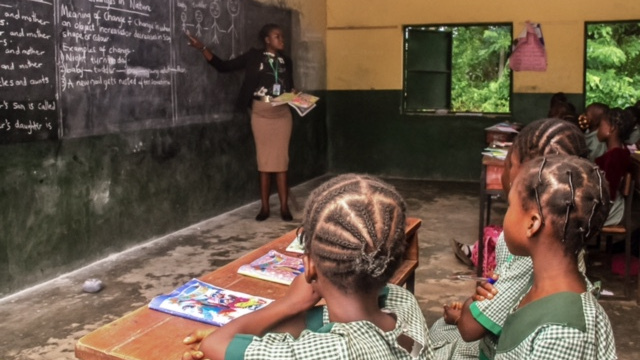 Through a two-year Fellowship, TFN recruits Nigeria’s most outstanding university graduates and young professionals of diverse academic disciplines to teach as full time teachers (called Fellows) in underserved schools. Through this experience, Fellows gain exposure to the realities of Nigeria’s education system and begin to identify their role in building a wider movement for educational equity. Teach For Nigeria deployed its first set of Fellows in Lagos and Ogun state in September 2017.